Dr. Maureen Marcenko holds a bachelor of science in education and a master of social work from Wayne State University in Detroit, Michigan. In 1988, she earned a doctorate in social welfare from McGill University in Montreal, Canada. Her primary research and practice commitments are to improve outcomes for vulnerable children and families, particularly those served by the child welfare and other public agencies. During a federally funded project to test a home-visitation intervention for pregnant and parenting mothers at risk of child welfare involvement, which spanned almost 10 years, Dr. Marcenko authored ten peer-reviewed publications from this research. She also received federal funding to implement and test a community-based intervention for families of children with severe emotional disabilities. More recently, she has joined colleagues in infant mental health and prevention study, which evaluates effective parenting interventions in the welfare of children. 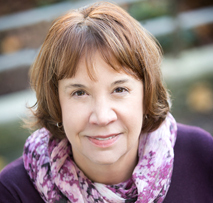 As a senior researcher at Partners for Our Children, a child welfare center at the School of Social Work, Dr. Marcenko led a survey of more than 800 parents who were involved with the Washington state child welfare agency. This research led to several publications that informed policy and practice in Washington state. Dr. Marcenko is currently collaborating with colleagues to explore the relationship between parents' economic disconnection and child welfare involvement. Dr. Marcenko teaches child-and-family practice and has developed a popular child mental health course. She works with doctoral students and most recently published papers with students on such topics as consumer-driven services for people with developmental disabilities, depression among Latino children in the child welfare system, and the needs of children with serious emotional problems.